Nestled at the base of the Rocky Mountains in the far southwestern corner of Southern Alberta, Westwind School Division works with passion to foster engaging and student-centred learning environments that will inspire each student to strive for personal excellence and allow all learners to thrive. Westwind serves a diverse and largely rural population of just under 4,400 students in 13 community schools located in the towns of Cardston, Magrath, and Raymond and the villages/hamlets of Stirling, Glenwood, Hill Spring, Mountain View, Del Bonita, Spring Coulee and Welling as well as 19 colony schools. Westwind School Division No. 74 believes in principles for a quality learning system that is accessible, learner-centered, collaborative, accountable, responsive, innovative, fair and equitable. 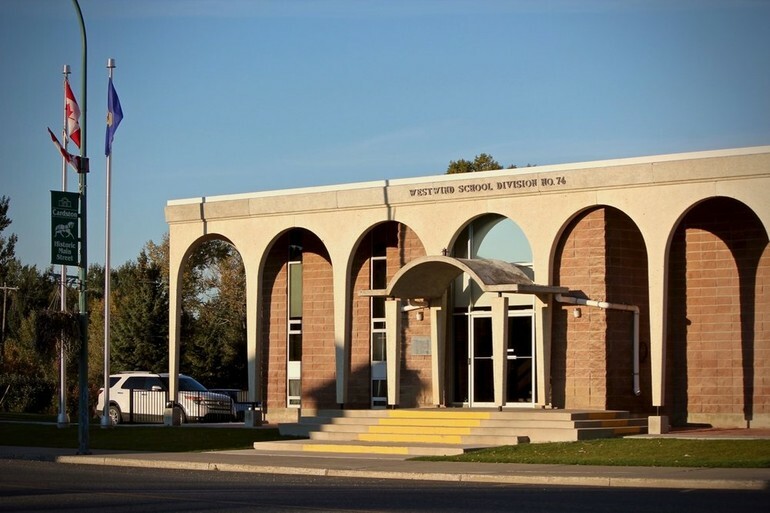 Westwind School Division came into existence on September 1, 1994 as a result of the regionalization of the former Cardston School Division, Stirling School District and the northwest portion of the County of Warner School Division. Westwind School Division stretches 66 kilometers north from the Canada/US Border and 109 kilometers from East to West; bounded on the West by the Waterton Lakes National Park and the Waterton River and on the East by a line running parallel with the Cardston County Eastern Boundary. Westwind School Division will be a collaborative community of engaged learners that inspires all students to realize their full and complete potential. The mission of Westwind School Division is to foster engaging and student-centred learning environments that will inspire each student to strive for personal excellence and allow all learners to thrive. Is this what’s best for our students? Will this help us build trust and improve relationships? How will this decision further education, inform practice and enhance learning?